Visible or invisible above us. Touching us like a breeze or shadow. Be grateful for a drink unless you drink it. Gratitude’s empty glass. 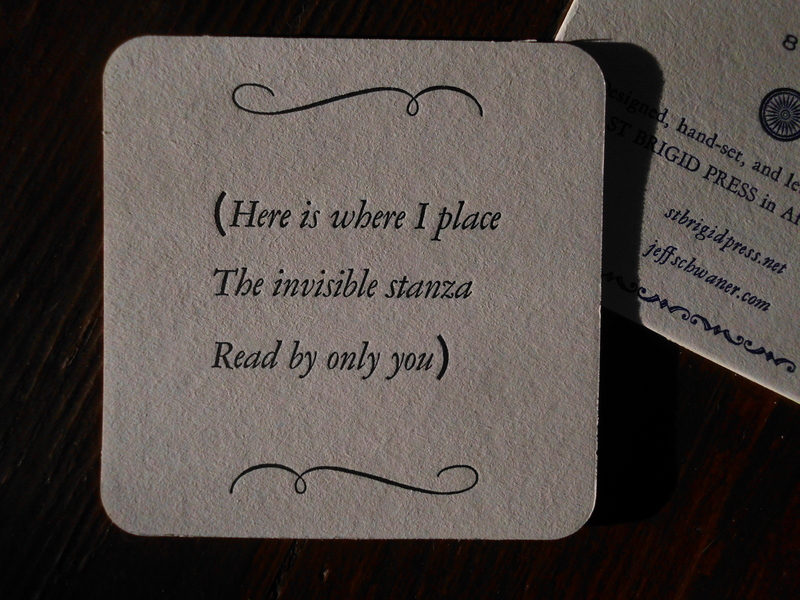 Book as a coaster. Or finding the denominator of God. It will keep saving you. This entry was posted in Poetry and tagged 8, happiness, summer on July 22, 2018 by Jeff Schwaner.